Reiki fora (/forums) are 'virtual' micro-communities, and just like their 'real world' counterparts, are dynamic - in a constant state of flux. Fora arise; some become popular, some do not. Some are cliquish, limiting their focus to a particular lineage or Reiki Ryoho style, while others are more open and inclusive. Some arise in response to a specific need, or for a very specific purpose - only to dissolve back into the electronic ether once more when that purpose has been achieved. Certainly over the last decade, the number of Reiki fora has increased exponentially - more recently it seems, there has been particular growth in Indonesian Reiki-fora - in itself a clear indication of the recent surge of interest in the therapeutic discipline in this part of the world. For many practitioners, especially (though not solely) those for whom the journey with Reiki has only recently begun, fora can play an important role. They provide an all-important sense of community. They are a source of access to the views and personal experience of others; a medium for eliciting feedback, help and advice - essentially, they provide a support mechanism. They offer the opportunity to participate in wide-ranging (and yes, often heated) discussion on of all manner of Reiki-related topics. 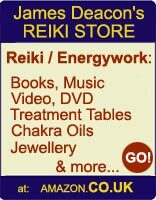 They can be an effective tool for the exchange and dissemination a wide variety of Reiki-related information; including up-to-the-minute news concerning events, offline-meetings, legal issues impacting on professional practice, etc, etc. And many fora also function as 'distance' healing-lists, where practitioners and non-practitioners alike can come to request therapeutic intervention for themselves or others. Particularly for those who are practising Reiki Ryoho in places where they do not have the opportunity of meeting 'hand to hand' with fellow practitioners, fora are commonly the primary (and in some cases the only) medium of post-training contact with like-minded souls. Recognising this fact, several Reiki teachers do utilise private fora via which to keep in touch with their own personal students - providing ongoing support, access to updated teaching materials, etc, etc. Of course, there are also many practitioners who perhaps have not managed, for whatever reasons, to remain in communication with the individuals from whom they have received Initiation. Or alternatively, have simply never received any form of 'hand to hand' Initiation (- let alone training) in the first place - having instead participated in online 'distance' Reiki Initiation. Certainly, for people in this latter category, fora are in many cases their sole source of training materials, and instruction in the practice of Reiki Ryoho. - a Duty of Care, irrespective of whether we provide this service with or without charge. It is perhaps all too easy for some to simply pass the 'attunement' element of the Initiation and then leave the student to rely solely on 'virtual' sources for their training instruction and informational resources. Yet to my mind, such an approach cannot be viewed as a viable alternative to 'hand to hand' training and development. A place where people, drawn towards the possibility of integrating therapeutic and / or spiritual elements of Reiki Ryoho into their lives, can visit and be made to feel welcome. Where they can ask their questions, get a 'feel' for things - and when they feel ready, move forward to Initiation and well-presented formal training.